To contact an individual please search the School staff directory. We are based at The Open University headquarters at Walton Hall in Milton Keynes, which is 80km north of Central London, midway between Oxford and Cambridge, and just off the M1 motorway, linking it to Birmingham and the north of England. The campus is 4 miles from Milton Keynes Central railway station, served by the West Coast Main Line between Birmingham and London (Euston). 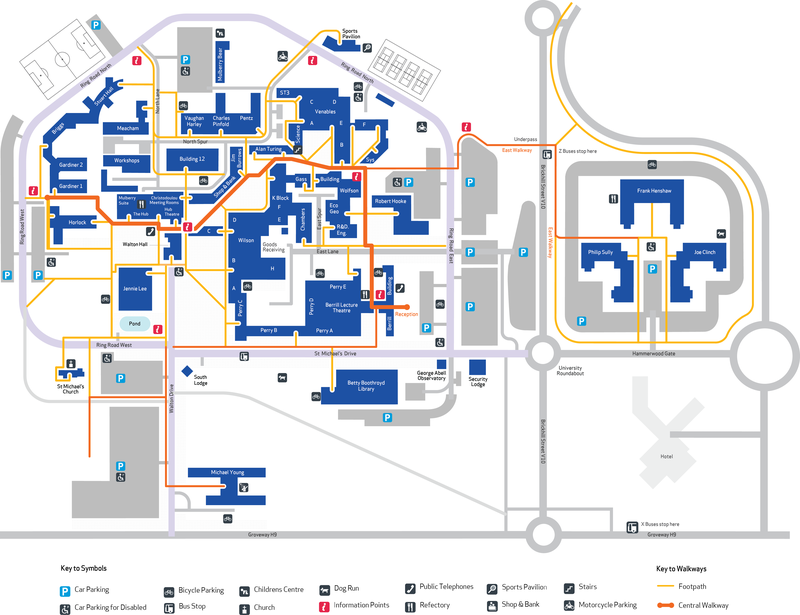 When you arrive, a campus map is available for you from Reception, or you can download it here.